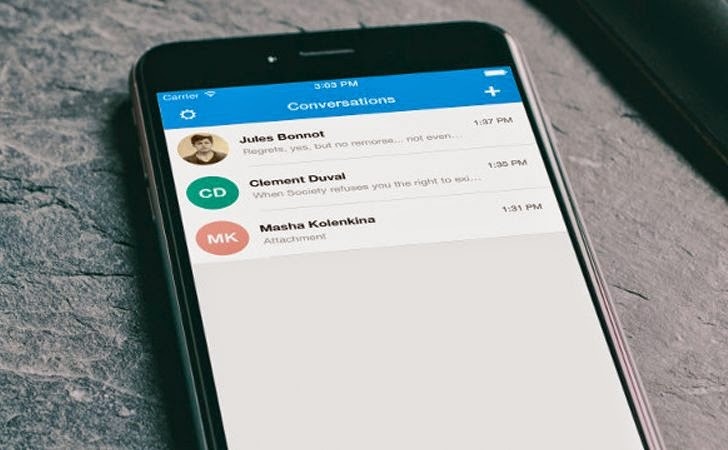 An open source software group, Open Whisper Systems, has announced the release of Signal 2.0 — the second version of its free and open source messaging application for iPhone and iPad users. Signal app is specifically designed to make secure and easy-to-use encrypted voice calling. But that’s what the application was providing in its previous release introduced last July with Signal 1.0. Apple’s iMessage also provides encrypted communication, but it was challenged by security researchers in 2013, revealing that Apple controls the key infrastructure and could, in turn, be compelled to change a key anytime they want, and read the content of your messages. But there was no way to send secure messages from an iPhone iMessage to an Android phone, or vice versa, unless you signed up for a monthly subscription plan and got the person you wanted to communicate with to sign up for it too. Signal 2.0 lets you send end-to-end encrypted messages to users on different platforms for free, no matter which smartphone you own, and no login, no username, no PIN required. Signal 2.0 allows users to send end-to-end encrypted group, text, picture, and video messages between Signal on iPhone and TextSecure on Android. "We’re going to unify TextSecure and RedPhone into Signal on Android, release a desktop version of Signal, and keep working to push the envelope of secure protocols and private communication," said Moxie Marlinspike, the founder of Open Whisper Systems on Monday. The end-to-end encrypted messaging support added to Signal 2.0 for iPhone is Free and Open Source. Besides sending text, images and videos, Signal also supports free calls. Signal app doesn’t require a login, usernames or PINs. It uses only your phone number and address book to get you started with end-to-end encrypted texting and calling. Signal makes your conversation end-to-end encrypted in such a way that nobody, including the company, can tap into calls or read your conversations. Signal also supports forward secrecy, so if an attacker steals your encryption key, they cannot go back and decrypt messages they may have collected in the past. With Signal 2.0 release, you can message across iOS and Android (via a third-party app called TextSecure) without any fees or set up. "We cannot hear your conversations or see your messages, and no one else can either." Washington-based software firm Silent Circle, offers encrypted calling and texting services for a monthly subscription, and is a partner in Geneva-based SGP Technologies which makes the BlackPhone, a security minded device that offers 'PrivatOS' that allows users to make and receive secure phone calls, exchange secure texts, encrypted file storage, secure video chat, and anonymize your activity through a VPN (virtual private network). However, with Signal 2.0 you can send and receive strongly encrypted messages and voice calls for free via a simplest and easiest interface yet, making it usable for those users who doesn't know too much about encryption to use. Installing Signal to your devices requires some simple steps. Just verify your device’s phone number through a one-time code that is sent to you via an SMS. According to Marlinspike, the high-profile coverage of government spying is increasing demand for encrypted messaging apps such as Signal and Telegram, an app that offers strong encryption has already sent over 40 million messages. "Every time [Intercept parent company] First Look publishes a story, our installs go up," Marlinspike told Fusion. "It’s well-documented that calls and messages you send over [phone networks] are not private. Things like Signal are a way to have private communication from your phone and also a better experience. Sending media messages to your friends will be frictionless and high quality and a lot better than sending MMS." Signal costs nothing to use and is funded by community donations and grants. It’s also open source, means its source code is available on Github, so it gives app developers as well as you opportunity to verify the app’s integrity. So, in case you feel WhatsApp suspicious and Telegram complex for you, Signal is free on the App Store to use.